French producer, DJ & vocalist Adassiya returns, after dropping her last cut ‘Intoxicate’ earlier in the year. This time round, she presents ‘Human’, a more laid back & Tropical feeling affair – as Autumn sets in across the northern hemisphere. 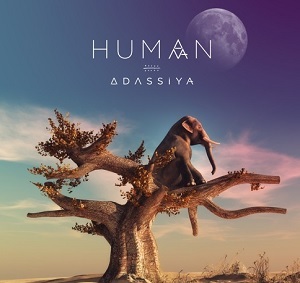 Pulled from her three track La Vida EP, ‘Human’ is the second instalment from the extended player & continues to set Adassiya‘s musical agenda in fitting fashion. Behind an amalgamation of Eastern & Western cultures, conceals a sensitive artist & one that lets her creativity speak directly through her writing. 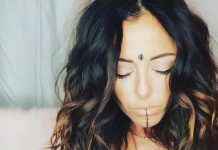 Real name Anissa Stili, Adassiya began her musical career as a singer in her teenage years & saw her recording a debut album with major label, Warner Music. Following on from this, Adassiya toured the globe with the revered french musical The 10 Commandments, allowing her to discover the riches of the world first hand & further expand her artistic mind. Combining an array of musical elements across Oriental & Electronic music, Adassiya brings them together in unique style & ‘Human’ is further testament to her continued artistic rise. 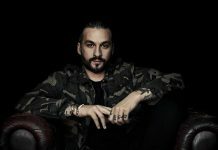 Steve Angello released his highly-anticipated album ‘Human’!